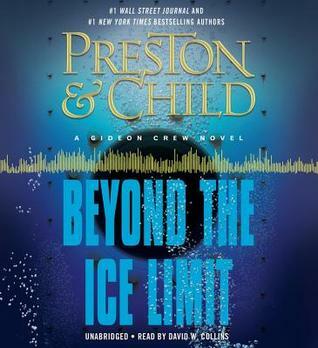 I have always been a fan of Douglas Preston and Lincoln child, writing together or individually, and The Ice Limit is one of my favorite stand-alones from the duo. Gideon Crew, however, is not my favorite of their characters. As street smart as one would expect him to be considering his past, he always seems a bit naive, especially when it comes to women. This isn’t a flaw in the writing, just a character trait that I don’t particularly care for. With that said, I was a little apprehensive going into this – I wanted to go back to the ice limit to see what would happen, but I wasn’t sure I wanted Gideon to come along. I shouldn’t have worried though – this turned out to be my favorite Gideon Crew novel so far. He had a skill set that made him a logical choice for the mission, and he fit right in with the rest of the highly-specialized crew. The story really felt like a continuation of the original book, and that’s exactly what I was hoping for. It offers an interesting, if not entirely expected, conclusion to the story. If you’ve read and enjoyed The Ice Limit, you should definitely read this one.